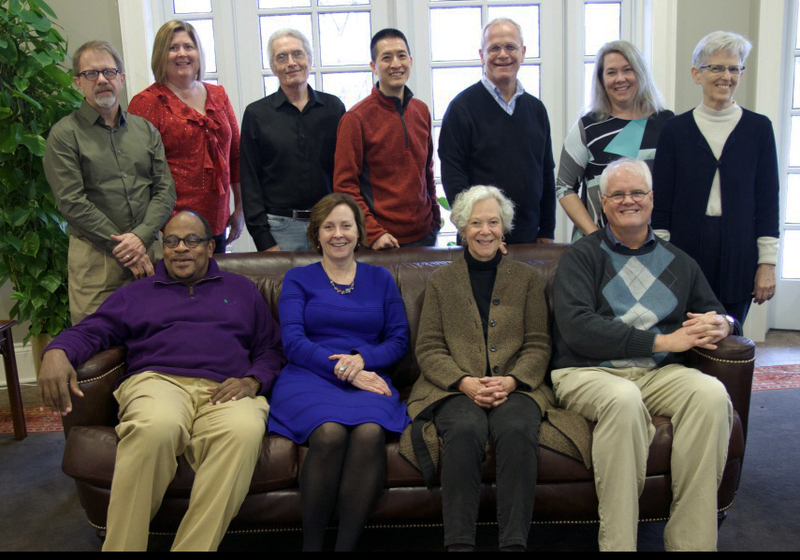 Our Wabash Center Advisory Committee meets annually in March to consider grant proposals and other matters of business. Serving three-year terms, our current members are pictured below. Front Row: Stephen Ray (Chicago Theological Seminary), Mary Stimming (Wabash Center), Dena Pence (Wabash Center), Tom Pearson (Wabash Center). Second Row: Paul Myhre (Wabash Center), Gina Haile (Wabash Center), Gary Phillips (Wabash College), Tat-siong Benny Liew (College of the Holy Cross), Peter Vaccari (St. Joseph’s Seminary), Katherine Turpin (Iliff School of Theology), Rebecca Slough (Anabaptist Mennonite Biblical Seminary).